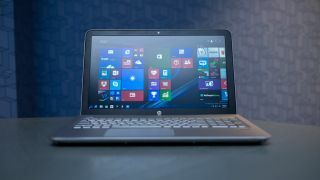 Fans of gaming-on-the-go who are mulling a laptop purchase in the near future will be interested to learn that HP is planning to bolster its notebooks by including FreeSync technology. FreeSync is AMD's graphics tech that ensures a smoother gameplay experience by eliminating stuttering and tearing effects – the sort of added choppiness and glitchy artifacts that can be really off-putting when you're spinning around making snap turns in a shooter. And the technology will be coming to all of HP's laptops which run with AMD graphics as opposed to Nvidia. This won't happen in the immediate future, but as Digital Trends reports, the introduction of FreeSync will be made later on this year, beginning with the refreshed HP Envy 15z, a relatively inexpensive offering (it's currently priced at $470 over in the US, which is around £330, AU$670). FreeSync seems to be making good headway, and we've seen it featuring on a number of monitors which have recently been unveiled. In fact, one popped up earlier this week, the AOC U2879VF which is a 28-inch 4K display targeting both gamers and photo editors. We've certainly seen FreeSync on more displays than Nvidia's rival G-Sync technology in recent times, and unsurprisingly, there's been plenty of mud slung between the two about which stuttering-beating standard is best. In the past AMD has even claimed that Nvidia's effort negatively impacts frame rates.